Women encounter offensive remarks and nasty behaviour in the workplace on account of their gender. 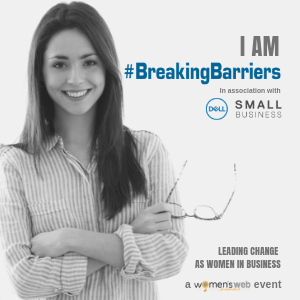 How can women handle workplace bullying stemming from gender bias? Women in the workplace have always been a topic of much debate and discussion. The Why? The What? The How? The How Not to? The Where? The When? – Questions galore! From him, from her, from them. Part of the reason is this – If you look at history and evolution, the role of the women has typically been confined to the four walls of the house with her shouldering almost all the domestic responsibilities. With changing times, women are entering the workforce, swanky offices, hi-tech conference rooms and even board-rooms. More often than not, a woman’s journey from the house to the office is a bumpy one – with gender discrimination, workplace bullying, harassment, slow-paced career progression, questionable compensation, unsupportive workplace environment and outdated policies. In this post, I will share a few scenarios of workplace bullying encountered by working women in India, and offer suggestions on how to deal with them. This is similar to ragging in college. Many women experience workplace bullying when they are newly inducted into a team. There is usually a learning curve when anyone embarks on a new initiative, but sometimes women have it hard to just come up to speed. “When I joined the project, I was given some initial documents to read and understand. This was followed by a few discussions and I was expected to perform and be productive in a span of 10 days. However, since it was all new to me – It took me longer to show results and this period was a nightmare,” said Ankita. “Since I continued asking questions, and requested for help and support – I used to get bullied all the time by the others in the team.” They would say things like, “Girls don’t understand technology. It is only for the boys.” Ankita confessed that after sometime, the bullying got to her. It added to her stress levels and she wanted to quit. Better sense prevailed, and she decided to double her efforts. Very soon, she was on her way to winning customer accolades for her work. – Set expectations at the outset. When you join a project, negotiate on the time required to get productive. Explicitly state that there could be a few weeks when you may need extra support. Don’t over-commit. Initially, it is better to under-commit and over-deliver. – Keep a check on your emotions. Don’t get swayed away. If it is bothering you, talk to a colleague you trust/manager or a mentor. It usually helps get clarity of perspective. – Work hard to prove yourself. When you join any team, it is imperative for you to demonstrate your work with results so you gain acceptance and respect. Be willing to go the extra mile to create a mark for yourself. This silence, the underlying mind-set and intrinsic inhibitions are the next common cause for being bullied at the workplace. Many women are bullied in the workplace simply because others know that you will stay quiet. Examples of this behaviour include colleagues taking credit for your work, speaking on your behalf, not sharing information that you need to know, setting unreasonable deadlines, and then passing comments in public for this. Many women were on the receiving end of statements like “Oh! You don’t know even this…” or “She’s really dumb. She barely has a clue about this” or “She can never do this”. Such statements have a huge impact on a woman’s self-confidence and many times it takes years to restore. – Speak up for yourself. It is your career. Your work. Your voice. Speak up! Someone may speak for you sometimes (right/wrong). But no one will speak always. – Take responsibility for your work. – Don’t ignore everything always. Many working women are known for being ignorant or feigning ignorance in one or more matters. Sometimes it may be okay to ignore situations when others speak incorrectly on your behalf, but not always. So be cognizant of this, and speak up, as appropriate. 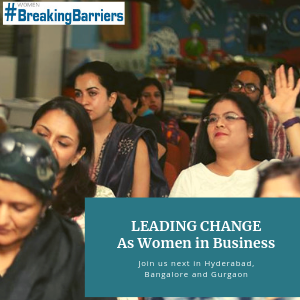 A lot of Indian women do have real constraints in terms of when they can be available for work commitments and networking – either during or after business hours. This constraint becomes more pronounced for working mothers. This is the cause for workplace bullying in many instances. Not only does such networking strengthen relationships between individuals and teams, but also is a forum for informal knowledge sharing, and information dissemination. And not having timely access to information can prove to be a huge disadvantage in several instances. Many women in my network have been bullied with statements like “The rightful place of a woman is at home”, “A women can never grow because her networks, contacts and presence is never really felt”, “You are better off changing diapers than programming software. The process of diaper changing never really changes”, “Why don’t you quit a corporate job, and take up teaching”… The list is endless. – Understand your role and responsibilities. As a woman/mother/working professional, you recognise that you have to play many roles, and each role comes with certain responsibilities. Be cognizant of this, and learn to prioritise based on the context and need. Do “stretch” once in a way, or as required. – Know your limitations. Accept it. Make peace with it. Every choice for a working woman (especially mother) comes with some trade-off. And that’s okay, as long as you are fine with it. So let-go of this notion that you are a “super-woman”. It is the knowledge era, and it is necessary to know things. A lot of women lack knowledge in some critical areas, which makes them potential targets for workplace bullying. One, many women lack general knowledge and awareness on larger issues related to politics, personal finance, world economy, technology trends, etc. Secondly, many women have limited knowledge on work-related issues not directly related to their scope of work. For e.g. knowledge on industry updates, competitor information, their company’s quarterly results, etc. – Make it a priority to read every single day. There is absolutely no short-cut. Even 15 minutes every day will go a long way in how much you actually know, and how well you can engage in conversations beyond the scope of your work. Trust me, over a period of time people will think twice before they bully you! – Use common sense on when to speak up and when to shut up. If you don’t know something, you’re better off to stay quiet in a public forum than say the wrong thing and make a fool of yourself. As I sign-off, I’d request you to make an effort to know your organisation’s policy on workplace bullying. Also, do be aware of know whom to contact if you are subject to bullying at the workplace. Have you seen women experiencing workplace bullying? How did she handle it? How do you think women should handle such situations? Leave a comment below. *Photo credit: Derek Hatfield (Used under the Creative Commons Attribution License). Thanks for giving good support for women. yes, women have to play all roles at a time. very difficult task. She has to encourage her self to motivate her confidenance levels. Speak up for yourself. It is your career. Your work. Your voice. Speak up! Someone may speak for you sometimes (right/wrong). But no one will speak always. This is true, women has to come out to speak without any hestitation. Than only we can come out of hard suitation. peaceful atmosphere and comefort job pattern brings good productive in the organisation. Thanks for sharing the info. All said and done…in short , should be Cognizant is all manners.